Ok it may not be May the 4th, but its never too late to enjoy some Star Wars action! 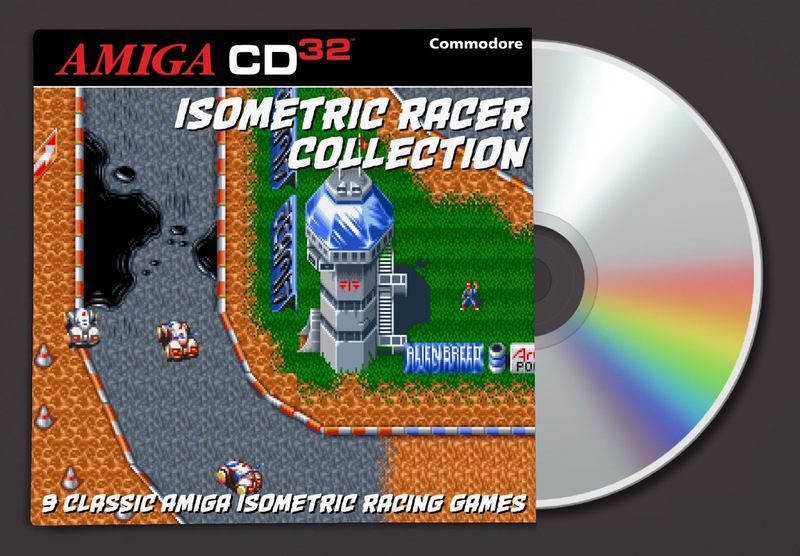 Now CD32 owners get the chance to play these arcade ports from the 1980's! 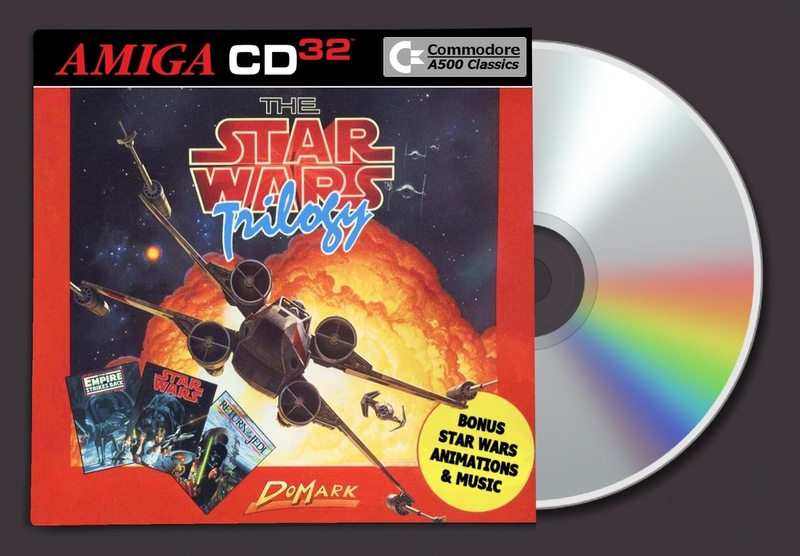 I thought i can't just include the 3 arcade games, so as a bonus to all Star Wars fans I've included all the Star Wars related Amiga Animations and Music on the same disc, that includes classic animations Amy Vs Walker, Battle Of Hoth, Last Stand Of Hoth and both Walker Demos, 21 Animations in total spanning over 55 megs of data! As well as that lot, I've included the classic demo of Star Woids the never completed PD game! Other credits, game controls (important info!) and cover art are included in the game download. 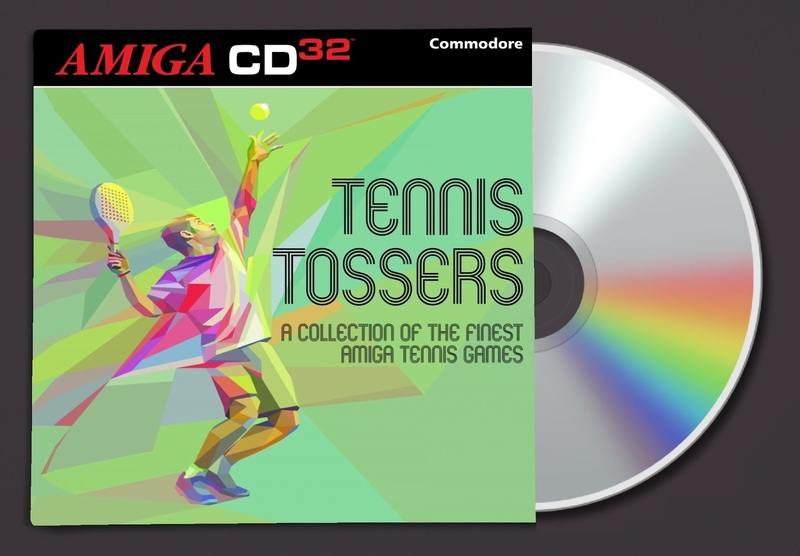 The first day of Wimbledon started today and another tie-in sports compilation for the CD32, this time its a collection of the finest Amiga tennis games. Tennis Cup II - CFOU! Earok - thanks for the work on Super Tennis Champs! JTOD - thanks as usual for the CD32Load updates! Naruto (NU) - thanks for the tennis player sprite. Creators of WHDLoad for allowing this great program to go freeware. And anyone else I've missed or used their utility unknowingly on this CD. 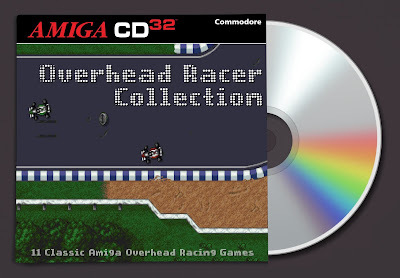 The first disc of a double-pack of racing games for the CD32 is the Overhead Racer Collection, featuring 11 great overhead racing games. JTOD - for the awesome CD32Load and updates. The second disc of a double-pack of racing games for the CD32 is the Isometric Racer Collection, featuring 9 great isometric racing games. 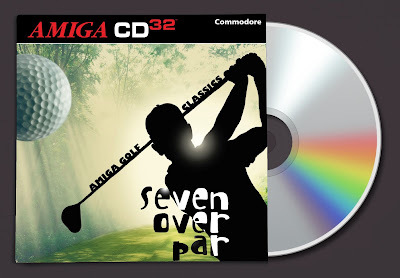 Well after a summer break from making CD32 packs, I've been busy putting some of my best packs together in the run-up to Christmas, today's release is the last in my sports collection for this year, and tie's in with the Ryder Cup which starts the first round on Thursday. 2016 is the 30th Anniversary of Psygnosis' first Amiga game 'Brataccas'. Psygnosis were one of the most influential Amiga publishers over the 10 years they published for games for it. Many will recall Shadow Of The Beast being one of the major turning points to setting the Amiga aside from the Atari ST, PC and other home computers at the time. As mentioned Psygnosis were the joint longest supporting Publishers for the Amiga, having supported the platform with releases over 10 years from 1986 to 1995, they were also in the top 5 Amiga Publishers of total unique game releases. For the last 3 month's on and off, I've put this huge collection together, and unlike other compilations from years past, this time each and every game is playable on a stock CD32, yes my hair is thinner because of it (curse you Armour Geddon II!). 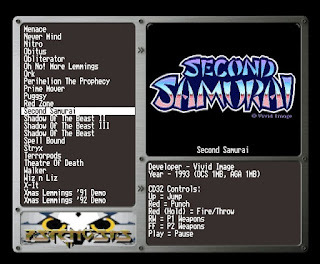 a keyboard, details of all these can be found in the readme, they are also listed on the CD so you know before you load each game. Each and every game has been tested to try and bring you the best control method for the CD32 controller if possible with many games having controls mapped to the CD32 pad, along with improvements in some games i.e Globdule now runs at 60fps, and Red Zone runs at a more acceptable speed! Watch the awesome Story & Games of Psygnosis video by Kim Justice (below).